I've been eyeing up some things online these days spending money in my head as i'm poor! Regardless, i'm going to show you what i'm currently lusting after! New Look shoe boot which you can buy here. I adore this shoe! It's a steal at only £29.99 and although i am skint i feel as though i might have to invest in these if i find them in my local New Look. I love them! Missguided sequin sleeve jacket - here. Another thing which makes me wish i had a full-time job so i could have this! 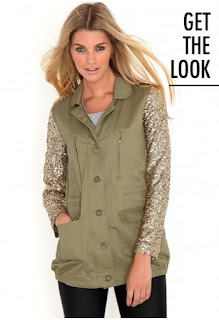 I love this jacket and it's probably a bit of a marmite love/hate product, but, i'm in love. I recently purchased the Primark Safari jacket with faux leather sleeves which i'm equally in love with and it was so cheap compared to other versions out there! MUA Artiste collection palette which you can get here. Still haven't been able to get my hands on this through my local Superdrug but i'm sure i will! Topshop knitted patchwork jumper - here. 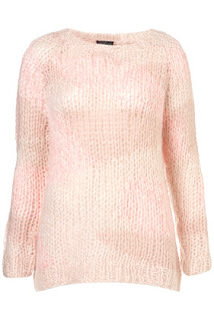 So cute and perfect for the winter months! 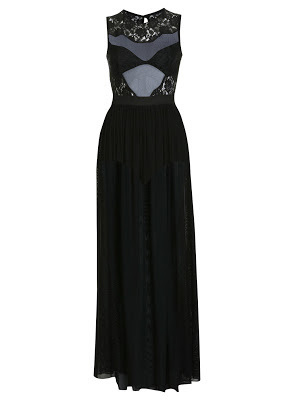 Miss Selfridge Project #3 Collection lace maxi dress which you can get here. Couldn't want this dress more if i tried. As always when i love something from Miss Selfridge though, it's out of stock at the moment. Probably a good thing, stops me spending! I really really want this OPI nail polish in 'The World is Not Enough' from the James Bond Skyfall collection! You can buy this here. My sister has 'Golden Eye' from the collection and it's really lovely. I may have to invest in one myself! Topshop Aubergine Cross Stitch Hat - here. 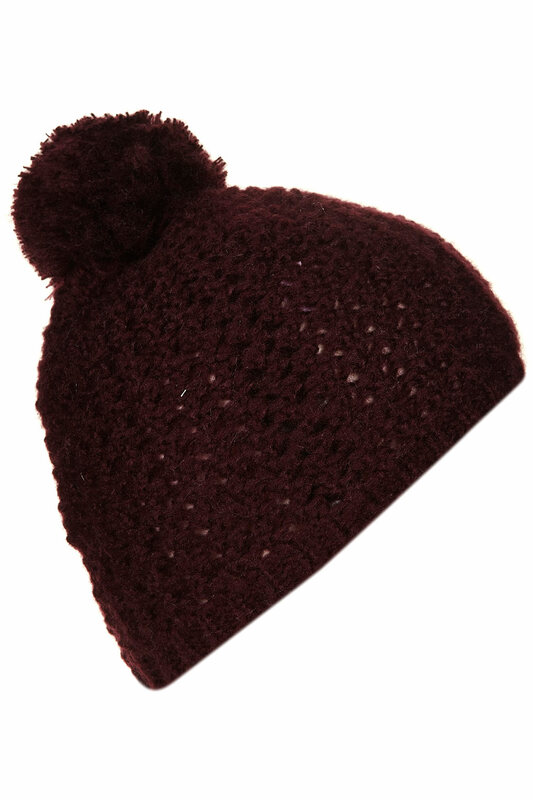 I have seen loads of bloggers blog about this hat and i am endlessly jealous! I just cannot justify paying £14 for a hat though! I'm not really a hat wearer but i'm loving this colour and i really want one so if you have spied a cheaper similar alternative let me know where ;). 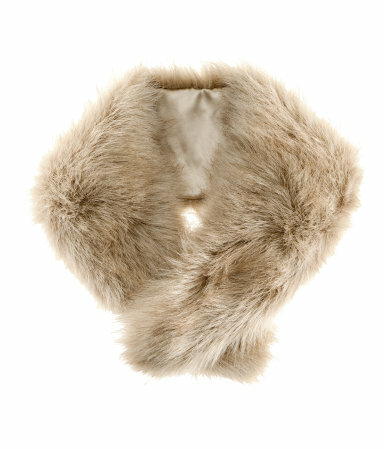 H&M fake fur collar - here. Amazing, perfect for winter and goes with pretty much anything. Need it. Dying to try out Maybelline's new Fit Me foundation. I've had a look online and managed to claim a free mini sample from the maybelline site, they even give you a few helping hints with colour matching which i thought was great! If there's any left head over to maybelline here and get your free sample if you want to try out this foundation too! H&M studded bag - here. You all know already how stud obsessed i am if you have read my previous posts so it's no surprise that this makes my lust list. 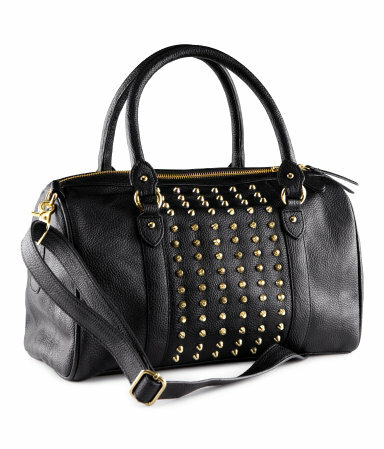 They have it in this black with gold studs or light beige with silver studs and i love them both! So that's mostly all i'm lusting after lately. Do you like or own any of these?